The state of South Carolina is a brand. Across the nation, the Palmetto and Crescent signify something more than just boundaries of land; they are a symbol of a culture—a culture of strength, determination, innovation, creativity, and Southern values. But the magic of that identity isn’t in a tree or a crescent. 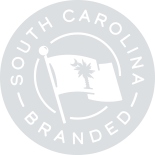 The brand of South Carolina is shared with and found in every citizen…every company…every product…every brand that claims this diamond-shaped piece of earth for its own. As a state, we’re just 1 of 50 territories on a map. 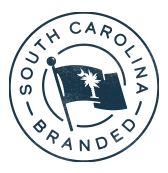 But it’s the brands that call South Carolina home that are the true essence of who we are, what we’ve been, and what our future holds. All awards should be nominated for their work between July 2016 and June 2017. A detailed application will be sent to all nominees once nominations have closed. So if you know someone who qualifies in one of the following areas, please nominate them—but be fast—nominations close August 14, 2017! South Carolina is in the middle of an economic boom, and new development projects are bringing life to communities across the state. This award goes to the development that is turning heads in South Carolina. South Carolina is known for its natural resources. The Palmetto Green award goes to the corporate project that is most known for its preservation and protection of South Carolina’s beauty. With all that we have going on in South Carolina, you know our health and wellness industry is at the top of its game. This award is given to a not-for-profit or private sector health initiative that improves the health of South Carolinians. South Carolina is known for its passion for the arts and music. The Arts Champion Award is presented to a key champion of the arts in South Carolina. This award celebrates our history and our future in the textile industry by recognizing the top product or company that is changing the face of what textiles mean to South Carolina. From the peach orchards to the cotton fields, South Carolina has long been recognized for its agricultural community. The Farm, Forest & Field Award goes to the brand that is proving to be truly revolutionary in agribusiness. This award will be chosen by popular vote after the three finalists are chosen. Which brewery do you know has the top hops? Brewery of the Year goes to the producer that has the best tasting brew and is making a name for themselves, across the state and beyond. Every year, South Carolina has no shortage of great sports moments that garner national attention. This award goes to the team or individual that put us on the map in 2017 with the most memorable moment. South Carolina is known for its high level of innovation and invention—whether from a start up company or a longtime resident. This award goes to the company whose newest development is bringing attention and growth to the state. In South Carolina, we look after our neighbors, making this state the best place in the nation to live. The Charitable Impact Award recognizes corporate giving and philanthropy that makes a true impact for the good of the state and its citizens. Every year we honor one city or town that is doing great things for the people that call it home. The people, good government, good corporate citizens, low taxes and a high quality of life are factors that make the place you live a great hometown. As an entrepreneurial haven, South Carolina is the place to start up a new business or brand. This award goes to the company founded in the last six years, that has quickly taken the market to become a player nationally or globally in its space, building on South Carolina’s brand and reputation. The Legends Award recognizes the company, person or institution that has continually and consistently given to South Carolina and its people. Our legends make us proud, and they deserve all the attention we have to give. Nominations due by August 14, 2017. Companies – Must be headquartered or based in South Carolina. People – Must be native South Carolinian or call South Carolina home. Products – Must be made, manufactured, produced or grown in South Carolina. Sports Moments – Must be between August 1, 2016 and July 31, 2017. We are currently seeking sponsors for this event. If interested, please email our sales team. You can also submit a nomination by downloading our PDF Nomiation Form here. Keep me up to date with news and information about the SC Branded Awards! *Upon receipt of nomination form, each nominee will receive an application form to provide additional information.